This is your Lucky Day - Don't let this one Get Away! 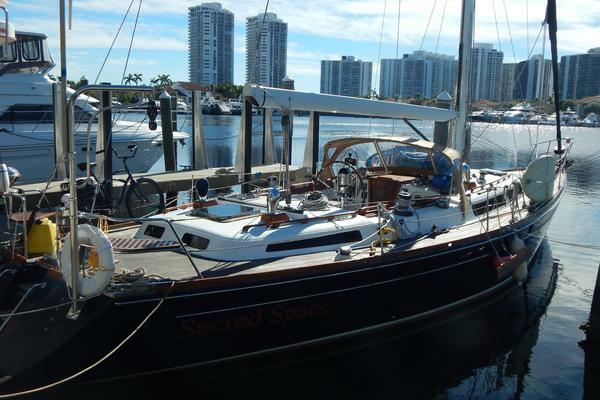 This is much more than a sailboat - this is a Little Ship. "Laughing Buddha" is one of Hans Christian's "Traditional Series" boats. The Hans Christian Traditional Series are recognized around the world as the quintessential cruising boat. "Laughing Buddha" is a great example of this popular boat. Her "one and only owners" have always given her great care her entire life. She has received EXTENSIVE RECENT UPGRADES including NEW Engine and Drive Train, NEW Refrigeration & Stove, and NEW Watermaker and LOTS MORE. Look over the full specifications and review all the MANY recent upgrades and all the MANY extras that make this a very special opportunity to own a exceptional boat. ENTIRE BELOW WATERLINE PEELED/RELAMINATED VINYL LESTER RESIN (2000) CUSTOM HARD DODGER WITH ZIPPERED VINYL ENCLOSURE (2001)TOPSIDES AND GLASS DECKS RESTORED AND PAINTED WITH ALLGRIP (2008) BOWSPRIT REPLACED; BENGU YETI TIMBER, FIBERGLASSED AND PAINTED WITH ALLGRIP (2013)"